So much of the process of music-making happens behind the scenes. Whether we’re writing songs with high school students, or working with artists to develop Bridge Sessions, or commissioning new music for a public performance, here at LiveConnections we’re always brainstorming, refining, creating, revising, creating again, building momentum. In 2019, we’re getting ready for the culmination of two years of behind-the-scenes work through our “A Song Everyone Can Sing” initiative. Behind-the-scenes: To create such ambitious music, we’ve had a whole team of creative people at work, along with participants from four anchor choirs: Merakey Behavioral Health, Northeast High School, Our Lady of Confidence Day School and Overbrook School for the Blind. Movement artist Shavon Norris is working with the anchor choirs to interpret the music through movement, adding ways for bodies to participate. Choral innovator Paul Smith is helping anchor choirs learn the music using his “VOCES8 Method,” designed to enhance neurological development, and renowned a cappella ensemble VOCES8 will be our keynote performers. 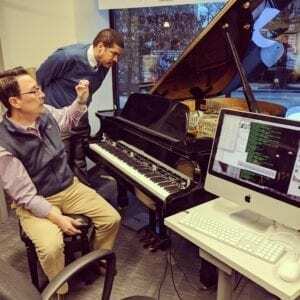 Our collaborators at the ExCITe Center are developing technology to expand the ways our senses might experience the music: by turning movement into sound, and sound into visuals. And our long-time friends at Art-Reach are helping us embed accessibility into the design. The process is ambitious, multi-faceted, with so much planning and behind-the-scenes work leading to a culminating event unlike anything you’ve experienced before. All of the pieces build upon each other, layering, stacking, to create a vibrant whole. The culmination: New music. A new way of making music. Join us for LiveConnections’ Community Sing on March 10 to see/hear/feel/experience the result of the process: a celebration of human ability and the joy of singing together. We’re dreaming big about accessibility and inclusion. Our multi-media music extravaganza welcomes EVERYONE to make music together. The cornerstone is a new choral work that invites people with diverse abilities to participate through singing, movement, visuals and technology. Collaborators include renowned a cappella ensemble VOCES8, composer Jay Fluellen, movement artist Shavon Norris, poet Daniel Simpson, Drexel University’s ExCITe Center, accessibility leader Art-Reach, and choirs from Merakey Behavioral Health, Northeast High School, Our Lady of Confidence Day School and Overbrook School for the Blind. Just $1 to register; individuals and choirs/groups are invited to attend. 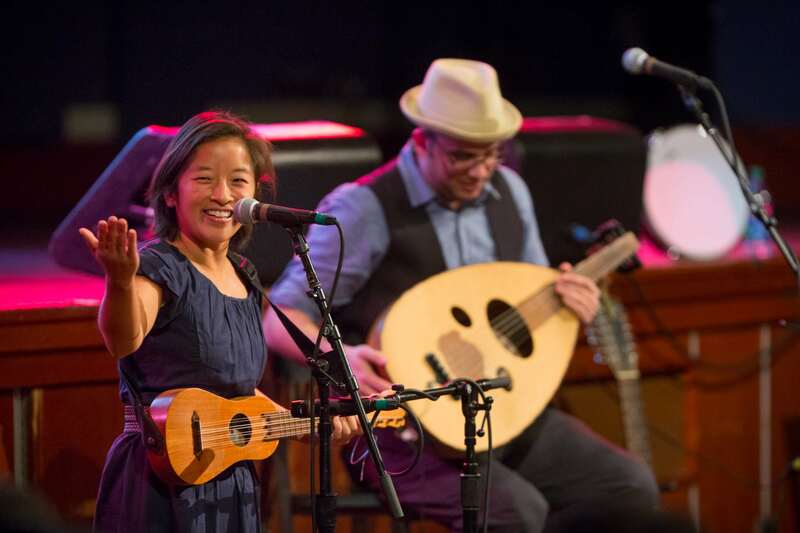 LiveConnections’ signature Bridge Sessions at World Cafe Live blend live performance with hands-on participation, allowing groups from schools or human service organizations to experience the joy and power of music. Please contact program@liveconnections.org to inquire about attending or observing a session. 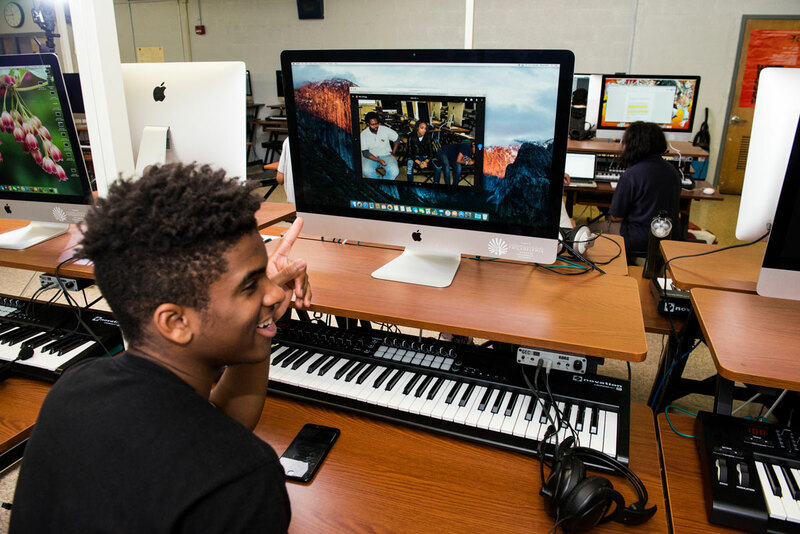 For the third year, we’re collaborating with Philadelphia public high school Hill-Freedman World Academy and their music technology teacher Ezechial Thurman to help students write, record and produce their own original songs. LiveConnections artists Andrew Lipke, Kristal “Tytewriter” Oliver and Luke Carlos O’Reilly are working with students on songwriting and music production. 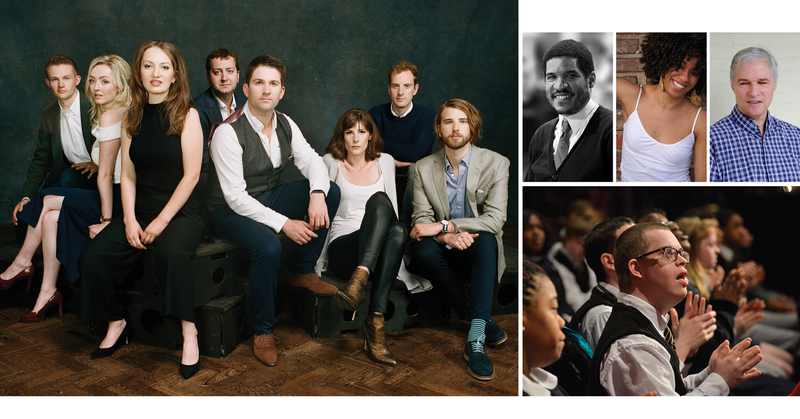 This year’s theme, WAKE UP EVERYBODY, is inspired by the sound and mission of Philadelphia International Records.